Dell is tying its fortunes in the virtual desktop infrastructure (VDI) market to Citrix with initiatives to support the latter's XenDesktop 7 under the DVS Enterprise banner. 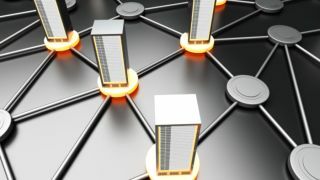 It is launching three deployments to tie in its hardware with the management platform, saying that they can support mobile working and the use of cloud computing. XenDesktop 7 provides a management platform for desktop PCs, hosted VDI and applications, and supports virtualised workloads based on Windows 8 and Microsoft Windows Server 2012. Dell has built on its converged infrastructure platform – that combines servers, storage, networking, endpoint devices and management software – to automate the deployment of XenDesktop 7 though its Active System 800 infrastructure system. It says this can help companies to speed up the deployment of VDI. This is accompanied by an integrated storage solution that includes XenDesktop 7 and unified communications, along with local storage options. Dell is also launching DVS Enterprise with NVIDIA GRID to support virtualised high end graphics. Steve Lalla, VP and General Manager, Cloud Client Computing at Dell, said: "We have been able to raise the bar not only in our virtualised desktops, but also in the functionalities that we bring to our data centre infrastructure solutions that give users an improved computing experience and help to bring down the cost and complexity of managing a desktop virtualisation environment."